Evonetix is set to revolutionise de novo gene synthesis to facilitate the fast-growing and exciting field of synthetic biology. Our unique selling point is driven by high fidelity and parallelisation of gene synthesis. With the huge increase in DNA sequence information available to mankind over the past ten years, there now exists an unprecedented opportunity to engineer metabolic pathways and organisms, improve industrial processes, create new processes, engineer genomes with new and improved traits and use DNA as a medium for digital data storage. Only a highly disruptive technology such as ours is likely to achieve the significant improvements in DNA synthesis required to enable and facilitate these opportunities. We therefore believe that we will be well placed to capture part of the growing multi-billion dollar synthetic biology opportunity. 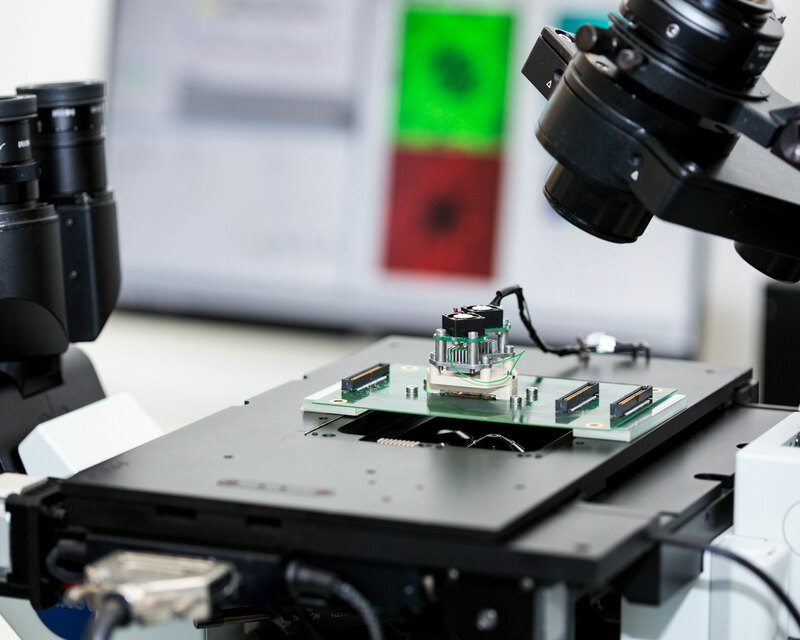 Our technology is based upon a novel silicon array, manufactured with semiconductor microfabrication techniques and capable of independent control of 10,000 miniaturised reaction sites, allowing massive parallelism in the DNA synthesis process and therefore very high throughput.